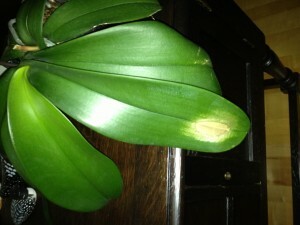 Sunburn Spots on Orchid Leaves: Does It Affect Your Orchid's Health? Sunburn Spots on Leaves: Should You Worry? Many varieties of orchids, including Phalaenopsis, will do best when given bright but indirect sunlight. Too much direct sunlight can lead to burnt spots like yours on the leaves. Orchids are pretty hardy plants and can continue to thrive after small amounts of sunburn, but severe sunburn over a large area of the plant can kill it.  It’s important to note that, just like humans, orchids can be affected by sunburn in a short amount of time, so you’ll want to make sure that you’ve found a growing spot that provides indirect enough light—and we’ll get to how to do this shortly.